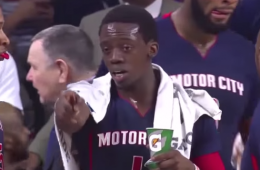 Reggie Jackson gives us a spot on Stan Van Gundy impersonation. 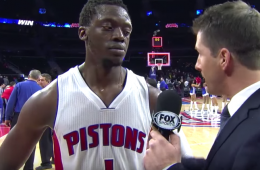 Reggie Jackson was unstoppable in the Pistons comeback win against the Suns. Scoring 34 points with 16 assists in a high scoring overtime thriller. 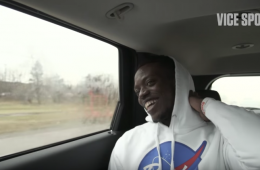 Reggie Jackson and the Detroit Pistons Reach have come to terms on an $80 million deal that will keep the free agent guard in Detroit for five-years. 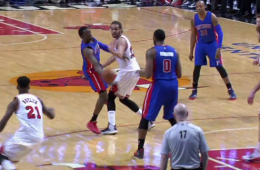 The Detroit Pistons blessed the Knicks with another blowout loss, courtesy of Reggie Jackson who had 24 points and 11 assists in the 22 point thrashing. 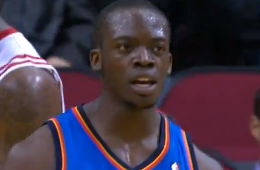 Reggie Jackson had no choice but to engineer a buzzer beating scoop shot from twenty feet away and somehow hits it. 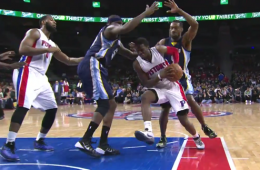 Reggie Jackson had a huge night to beat the visiting Grizzlies. Scoring 23 points and dishing out a career-high 20 assists. 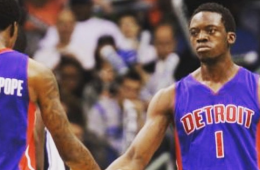 New Detroit Pistons point guard Reggie Jackson was so fired up to play for a new team. He actually puked because his nerves were running a little too high. 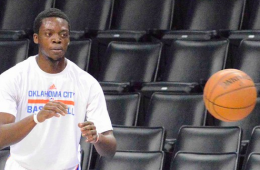 Reggie Jackson wanted out of OKC and he got his wish as the Detroit Pistons acquired him in a trade. 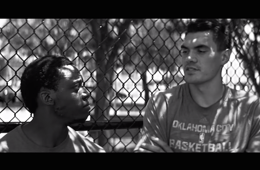 OKC Thunder forward Steven Adams and lightning quick backup guard Reggie Jackson show off their secret code abilities in a new ad for Spark. Reggie Jackson officially turns on the lights and turned off the music to let the Rockets know it's closing time and the party is over.